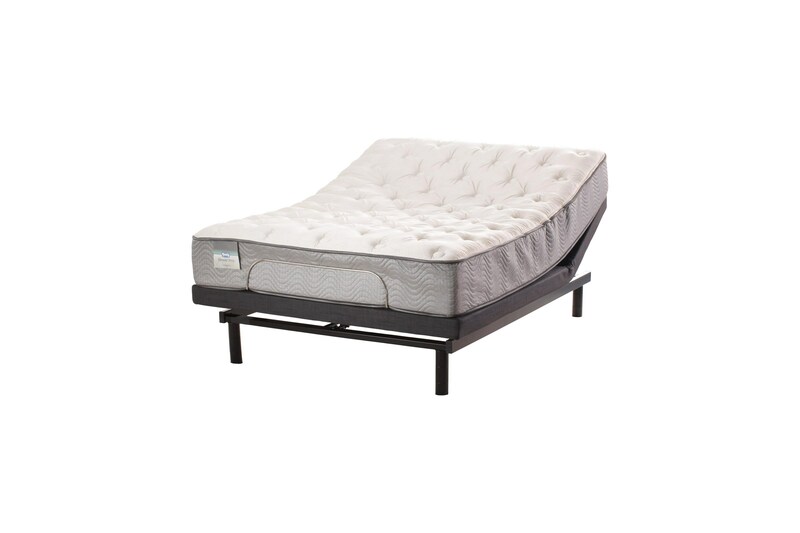 The Cascade Cascade Mountain Plush Queen Plush 11 1/2" Pocketed Coil Mattress with Serta Essential Motion Base by Simmons at Royal Furniture in the Memphis, Nashville, Jackson, Birmingham area. Product availability may vary. Contact us for the most current availability on this product. Foundation/Box Spring Serta® Motion Essentials™ III Adjustable Base. Control the head and foot of this base independently with a wireless remote that features one touch preset positions. A 4 in 1 leg system allows you to create a low or high profile look in your bedroom. Take control of your comfort with the Motion Essentials™ III Adjustable Base. The Cascade collection is a great option if you are looking for Mattresses in the Memphis, Nashville, Jackson, Birmingham area.